BETTER MEMORY AND BEHAVIOR, with reduced levels of Alzheimer's tau, were achieved in the lab by supplementing drinking water with nicotinamide riboside, a form of vitamin B3. Learn what these important results mean to Alzheimer's. NR, a form of vitamin B3, prevented neurological damage and improved cognitive and physical function in a new mouse model of Alzheimer’s. NR is a form of vitamin B3 that goes by the supplement name, "Nicotinamide Riboside"(NR). 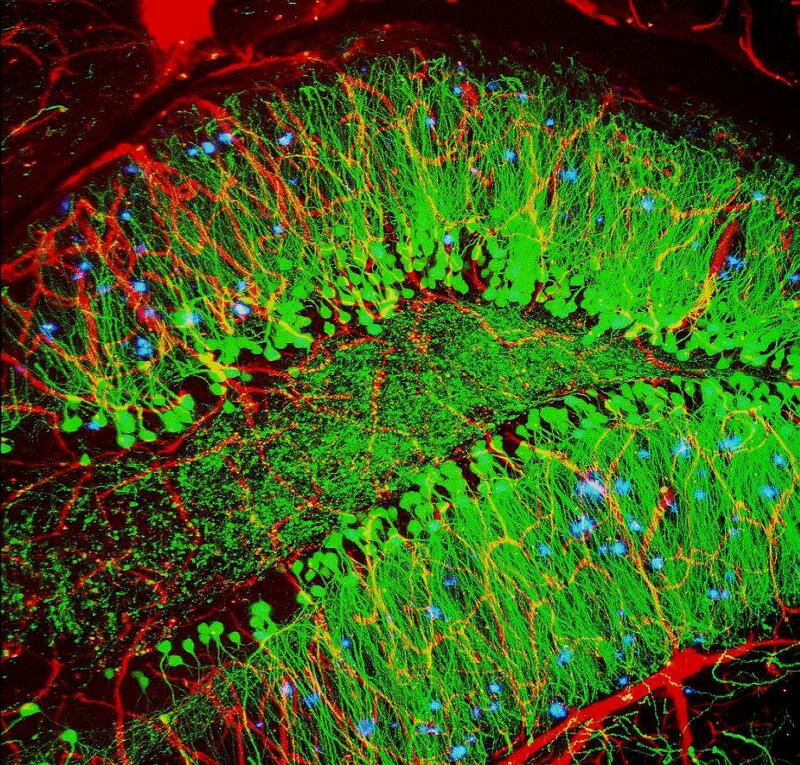 These results suggest a potential new target to treat Alzheimer’s. The study, by researchers at The U.S. NIH National Institute on Aging (NIA), appears in the Proceedings of the National Academy of Sciences. The international team of scientists was led by Vilhelm A. Bohr, M.D., Ph.D., senior investigator and chief of the Laboratory of Molecular Gerontology of the NIA’s Intramural Research Program, with Dr. Yujun Hou, a postdoctoral investigator in the laboratory. lower levels of neuronal damage and death. In the hippocampus area of the brain – in which damage and loss of volume is found in people with dementia – NR seemed to either clear existing DNA damage or prevent it from spreading further. The research team believes that these physical and cognitive benefits are due to a rejuvenating effect NR had on stem cells in both muscle and brain tissue. "See an Effect in Alzheimer's"
Next steps for the research team include further studies on the underlying mechanisms and preparations towards intervention in humans. The team’s work also included contributions from researchers at the Danish Aging Research Center at the University of Aarhus, and the Center for Healthy Aging at the University of Copenhagen. The Bohr lab has a Cooperative Research and Development Agreement -- which allows NIH investigators to join colleagues from industry and academia to pursue common research goals -- with ChromaDex Corp. Very insightful thank you. I will look to the Peer Review Scientific Studies. It is with great pleasure we, Dementia meetings 2019 would like to express by personal gratitude to invite you to the “12th World Congress on Dementia and Alzheimer Rehabilitation” scheduled during April 11-12, 2019 in Stockholm, Sweden.